Miami Club is a regulated online casino with 150+ games developed by WGS. The casino features a plenty of daily and weekly tournaments, a generous welcome pack and a professional customer service team available at any time. 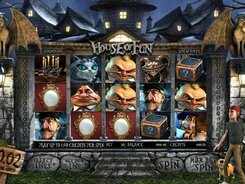 No real money wagering is necessary to play pokies and other games since the casino provides a practice mode for fun credits. Miami Club has a downloadable app that can be installed on your computer, and an instant-play web browser version. The WGS Technology games published at Miami Club are grouped into the following categories: Slots Games, Table Games, Video Poker and Specialty Games. 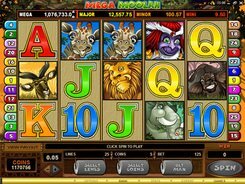 The key accent is made on pokies and they are further subdivided into three categories based on the number of reels. Every game has a Read More link that opens a short description with key features of that game, including its RTP value. There are around 10 games with a progressive jackpot and virtually all of them have a 3-reel layout, for example, Triple Wild Cherry, Ultimate 10 Wild, and other progressive solutions by WGS. Information on currently available jackpot games is published on a dedicated Jackpots page with links to these games and the latest jackpot values. The casino offers over 60 pokies and table games in the palm of your hand. However, opening the casino via a handheld device browser does not redirect automatically to a mobile version. Instead, you will see a full-featured desktop version with lots of graphics, which looks cluttered and messy on small screens. To enter the mobile version, you will have to tap the Mobile Casino link on the website footer and follow the instructions given on a new page. Alongside playing pokies, you can also take part in tournaments on the move. The Aussies can deposit funds into the casino via 9 payment methods and withdraw their winnings via 6 options. Limits vary across the payment methods but the maximum withdrawal cannot exceed $2000 per week regardless of the chosen option. Most withdrawals are free but some (Wire Transfer and Check payouts) require a fee of $30 or $60 per transaction. The welcome pack covers the first eight deposits made by a new user. Every bonus in the pack is matched 100%, up to $100, or $800 in total, and is granted upon depositing at least $25. The bonuses are subject to a very low wagering requirement of x20 (D+B). Australian gamblers can claim daily bonuses such as Tuesday Reloader, Super Friday Match, an exclusive 25% Retroactive Bonus, and more; they belong to the type of deposit bonuses, cashback bonuses or reload bonuses with different match percentages and max payouts. Regular gamblers who deposit and bet much advance through six VIP statuses, from Flamingo to Downtown to Millionaire’s Row. Every subsequent tier opens up new bonuses or more beneficial terms for existing bonuses. For example, Flamingo members (the lowest VIP level) may claim a 20% daily deposit bonus, up to $200, while Millionaire’s Row members (top VIP level) enjoy the 45% daily deposit bonus, up to $900. Tournament schedules are published for the current month and include tons of freerolls and buy-in tourneys for pokie fans as well as some tournaments that involve other game types (blackjack and keno). Prize pools range in size from small ($100) to moderate ($1000 and higher).